Your home’s landscape can affect how others view it, which is why it’s important to have an inviting and attractive yard. At Orlando tree removal company, we offer reliable tree removal services among others. Although trees are a great addition to a landscape, at times they can be more harmful rather than good. In this case, it’s best you remove them from your property by hiring a professional company to ensure the efficient and safe removal of any unwanted or dead trees. Remember, tree elimination doesn’t need to result in an unappealing residential property. Instead, it could be the catalyst for stunning and exciting landscape changes. Here’s a list of benefits you can obtain from this service. Orlando tree removal can give you the chance to get creative with your landscape design by installing water features or ornamental stonework. In turn, these can become a great focal point even for neighbors and visitors to enjoy. Furthermore, it can offset or disguise the empty area in your property after the removal of trees. If you opt for ornamental stonework, the installation can offer a stunning walkway or decorative piece of art while water features can produce a tranquil and calming outdoor environment. You can improve a barren space in your landscape considerably through the inclusion of shrubs and seasonal plants for beauty and vibrant color. You’ll discover that the installation of seasonal plants can draw attention away from the uneven landscape. Alternatively, you can plant them in the spot of the previous tree to cover any unappealing areas left after removing trees. We recommend you include shrubs and seasonal plants because they not only add stunning color but also increase property values and curb appeal. Although a property with numerous trees is attractive, trees and brush that grow too close or in the wrong areas could detract from the value. We recommend you clear out brush, weeds, and remove select trees to create more usable property. You can also add pools, gardens, and spas for your enjoyment once you clear out overgrown areas. A major way to improve your residential property after removing trees is planting new ones near the existing site to enhance the beauty of your property. Although you can’t plant trees in the exact spot due to remaining root systems underground, you can plant them nearby. Bear in mind that a healthy substitute tree can help increase your privacy and will in time offer valuable shade. Ultimately, the shade will help decrease cooling costs and decrease energy usage in your home. In some instances, a huge or overgrown tee may affect the structural integrity of the buildings nearby. Beware that large roots can grow to the point of invading the base of your home, slowly weakening its foundations and structure. Furthermore, overgrown trees can have a destructive effect on electricity and sewer lines. In turn, this could make your home unsafe while lowering its value. You should also note that tree roots cause the fluctuation of the moisture levels in the soil near your home and pipes, resulting in the expansion and compression of the soil. Over time, these changes can damage your home. The best thing to do is consult an expert from tree removal Orlando to keep your home structurally sound and safe. Although trees can be stunning and improve your home’s aesthetic, too many of them mean more twigs, leaves, and acorns that need cleaning up. Additionally, too many trees on the property could block sunlight to other gardens and plants that are vital to your property’s landscape. If you wish to maintain a clean home and property, you must eliminate dead and dying trees in addition to dead shrubbery from the yard. 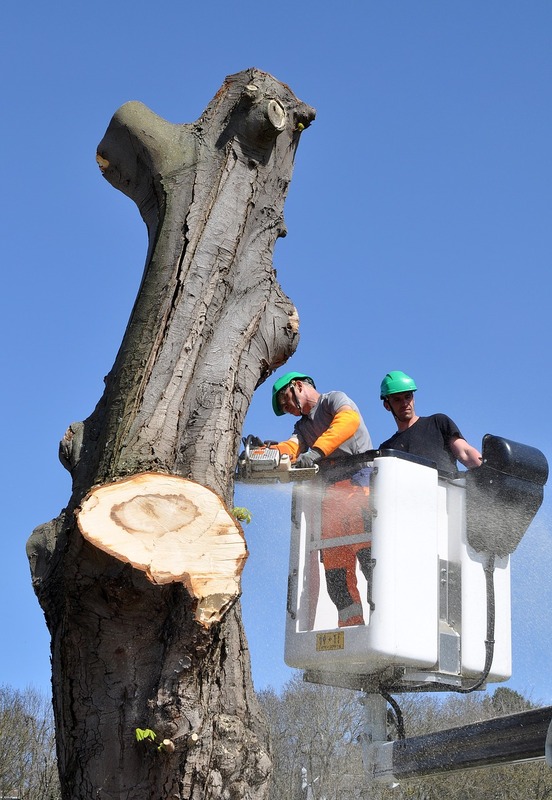 Fortunately, our professional tree service will advise you on the trees you require for enhancing your property’s beauty and those you need to eliminate. Most homeowners mistakenly believe that hiring expert arborists is too costly, which isn’t true. In fact, you’ll discover that hiring experts like ours are the affordable option. It removes the expenses that you’ll incur if you undertake the removal on your own and encounter issues such as a branch falling on your home or car. Trees can be a great addition to your property, but disaster can arise when they get out of hand. If you discover your roots or trees are taking over the yard, our tree company might just be what you require. Your home’s landscape can affect how others view it, which is why it’s important to have an inviting and attractive yard. 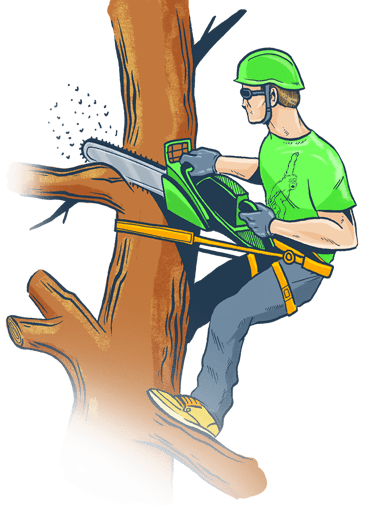 At Orlando tree removal company, we offer reliable tree removal services among others.Although trees are a great addition to a landscape, at times they can be more harmful rather than good. In this case, it’s best you remove them from your property by hiring a professional company to ensure the efficient and safe removal of any unwanted or dead trees.